I’ve been browsing the deals over at Park Resorts and was really impressed by their ready made tent holidays. 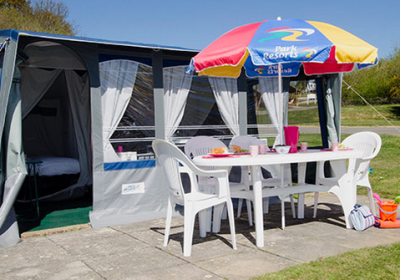 These look awesome, lets face it, you can’t beat a good camping holiday but to have the luxuries of proper beds to sleep in and private kitchen facilities it’s the perfect family holiday! There are mini breaks for 3 and 4 nights for as little as £85 each but what really caught my eye was their 7 night breaks for as little as £109, and these tents sleep up to 6 x people – that’s less than £19 each for a WEEK !!! There are plenty of options available for you to have a browse through and various parks too! Ready to use tents sleep up to 6 people and come fully equipped with tables, chairs, beds, electric, lighting, a fridge and gas for cooking. Just remember to bring your sleeping bags and pillows! As soon as you pitch up you’ll know you’re on holiday. All our pitches have access to fantastic free facilities and entertainment which the whole family will love. Park Resort is never get out of deals, that’s why i love staying with them. This new offer will be perfect for summer. Thank you for posting this, please keep on updating.